When your own life is threatened, your sense of empathy is blunted by a terrible, selfish hunger for survival. What does this still image from the film suggest about the challenges of surviving in the conditions Pi finds himself? 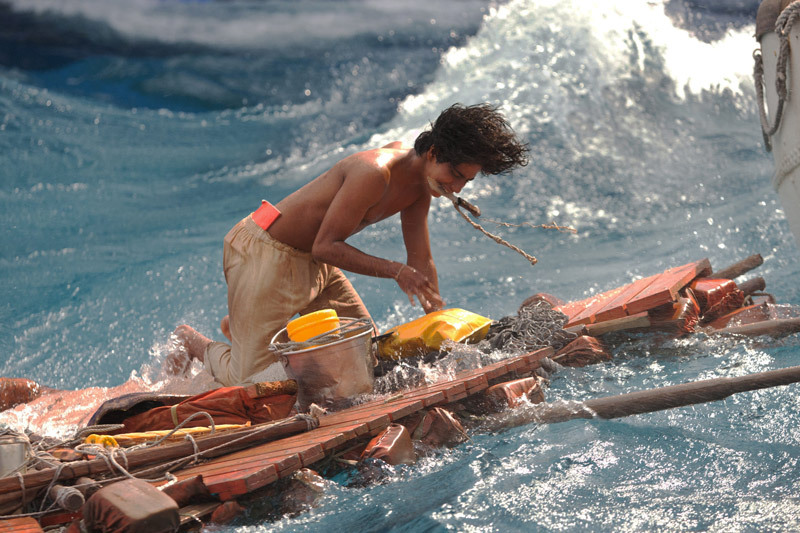 The fight for survival is central to understanding Life of Pi and it brings with it many moral dilemmas. In order to survive, Pi eats fish despite always being vegetarian; Orange Juice fights the hyena ferociously; the blind Frenchman on the island turns towards cannibalism. According to your own belief system, what do you think is acceptable and unacceptable behaviour in order to survive? To what extent do you think the hyena (or the cook, depending on how you interpret the story) represents evil? Explain in your answer your own understanding of the concept of evil. What questions does Pi’s suffering raise about God’s love, power and purpose?